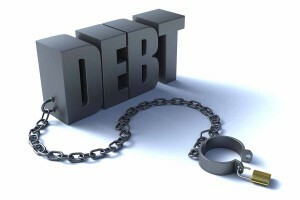 What’s the current state of mortgage debt and stress? The major determinant of mortgage risk levels is household income , with a high of 83.2% for households with incomes under $60k. 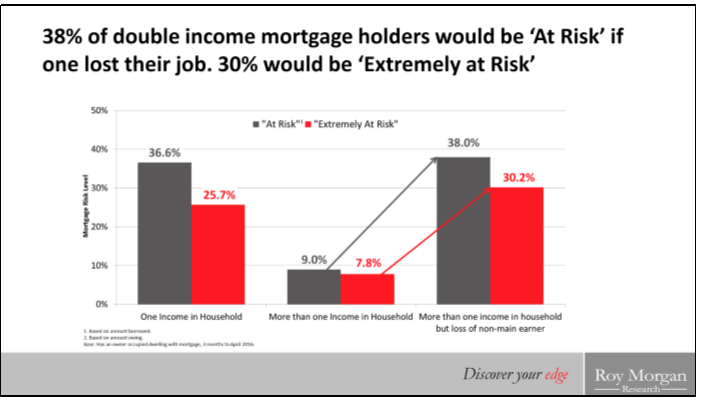 It appears on this chart that mortgage risk levels don’t drop to below average (18% for the year) until household income reaches $80K. 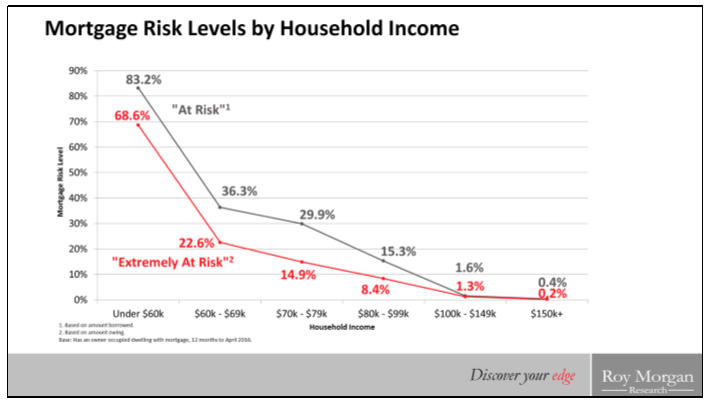 By the time incomes reach above $100k risk levels decline to less than 2%. 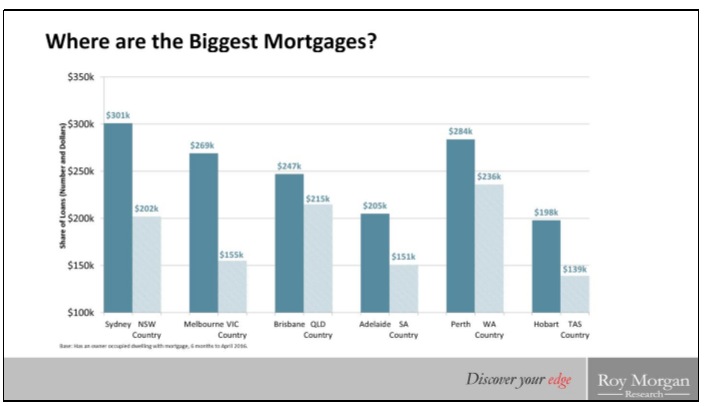 The average level of home loan outstandings is highest in Sydney with $301K but this is not far ahead of Perth ($284K) and Melbourne ($269K). Country areas in all states have lower average outstandings than their capitals. 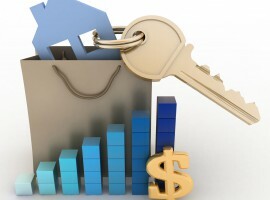 Mortgage stress levels are higher in all areas outside the capital cities except for WA. The highest levels are in areas outside of Hobart with 31.4%, SA country (26.1%) and NSW country (24.9%). These areas generally have lower household incomes and unemployment issues which have the potential to impact on mortgage stress levels. 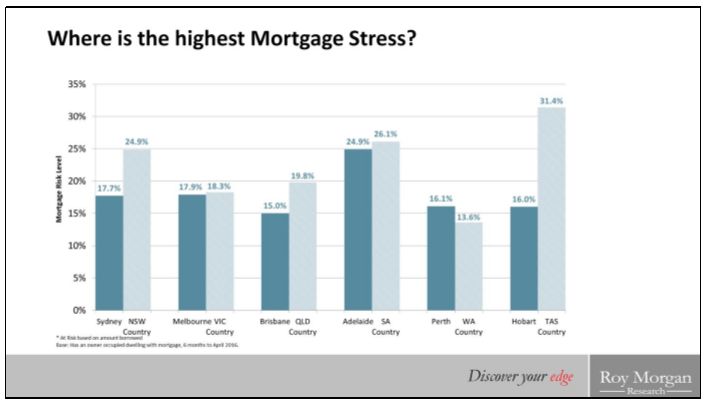 The fact that mortgage stress is higher in country areas despite the average amount owing being less, paints a rather negative picture for rural Australia and points to a two speed real estate market. 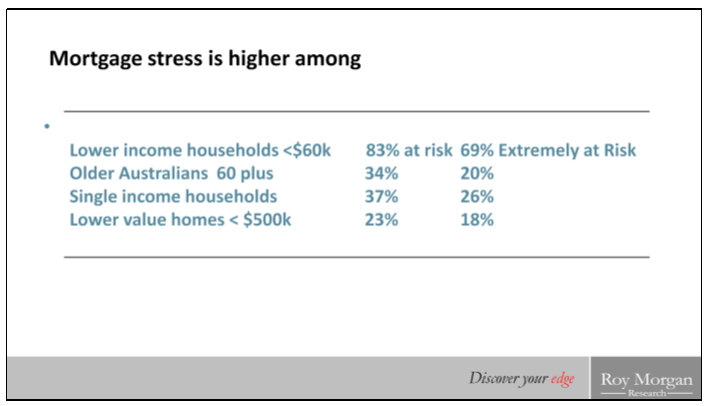 The high profile Sydney and Melbourne markets in terms of high prices are not reflected in high stress levels (17.7% and 17.9% respectively) most likely due to high household incomes particularly in the high priced areas that get a lot of publicity. Over 2 in 3 mortgages rely on more than one income. 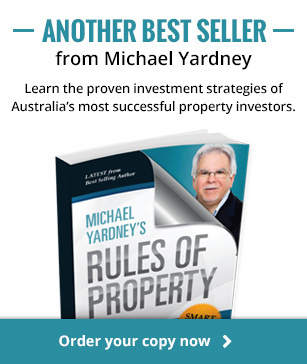 Their Mortgage risk is very low – 9% ‘At risk’ and 8% ‘Extremely at Risk’. However our analysis of the impact of the loss of one income (the lower of the two) shows the “at risk” level rises to a very high 38% and the “extremely at risk” goes up to 30.2%. This analysis shows that there is a considerable risk being faced by two thirds of households with mortgages if they are relying heavily on two incomes to pay the mortgage in the current employment market. Losing both incomes would obviously increase risk exponentially – but even a reduction in work – from full time to part time would have an effect. The impact of losing an income is greater than that of doubling interest rates.